Mt. Pilchuck is one of the most popular hiking destinations in the Seattle area, and for good reason: easy access, old growth forests, 360-degree views of the Cascades and Puget Sound, and a modestly challenging hill climb (just enough to make you feel as though you did something to earn those sweeping panoramas). The 5.4-mile round-trip hike ascends 2300 feet to an old fire lookout on the peak’s summit, which makes for a great spot to picnic, relax – or even spend the night, which will reward you with an unforgettable sunrise the next day. Mt. 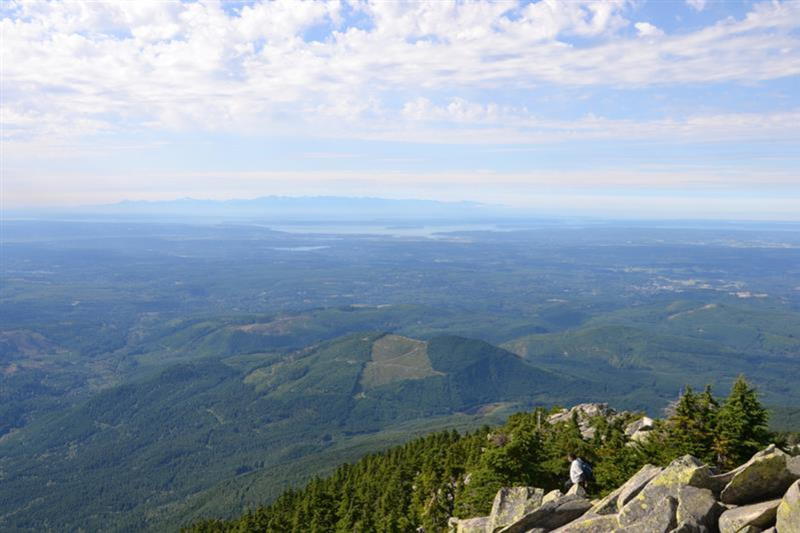 Pilchuck is easy to get to from Seattle, the trail up it offers a good workout through beautiful pacific northwest forests, and on a clear day the views from the summit are no less than astounding. From the trailhead, you will quickly come across a fork in the road. Stay left here. A stream crossing will let you know that you’re headed the right direction. A quarter mile from the trailhead, there will be a sign that reads “Entering Pilchuck State Park” (the trail begins within the Mount Baker-Snoqualmie National Forest). Another three quarters of a mile, you will confront a scree slope. Refrain from scrambling up it; instead, look left for an orange marker in the boulder field, which will lead you back to the defined trail. Enjoy strolling through the forests for another half-mile, and then you will reach a clearing. There will be a sign here reading “Parking Area,” which points back down the slope from whence you came. On a clear day, you will be able to see the fire lookout from here. Continue on the trail until you reach the top (and beware of false summits along the way). Once there, clamber up to the fire lookout, which was originally built in 1918, and luxuriate in the view. Given the hike’s popularity, you will likely have to share the experience with others. But in a setting like this, everyone there is almost guaranteed to be at the top of his or her game; just think of it as an opportunity to make friends. The trail is passable year-round, but check conditions and be prepared with snowshoes and/or crampons if required come winter. Patches of snow often persist on the trail through midsummer. Well-fitting boots are essential, and trekking poles are also recommended in all seasons. 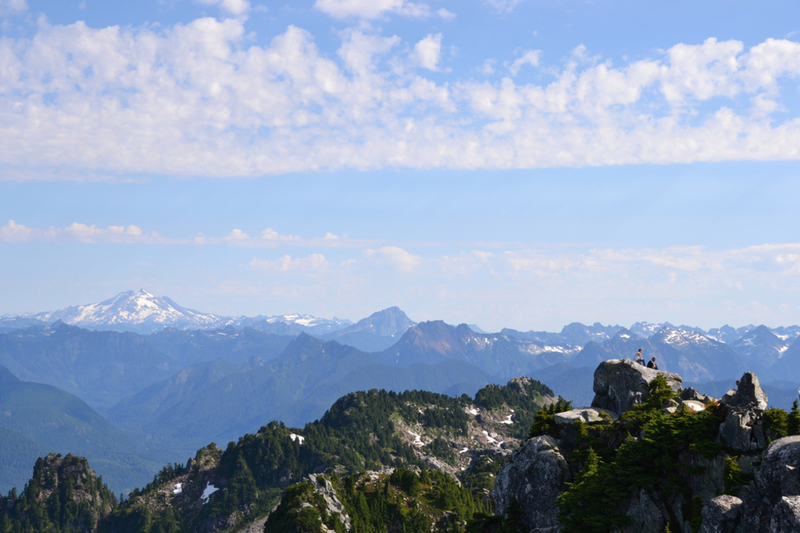 Anyone who is looking for a moderately difficult day hike that is a Cascade classic. 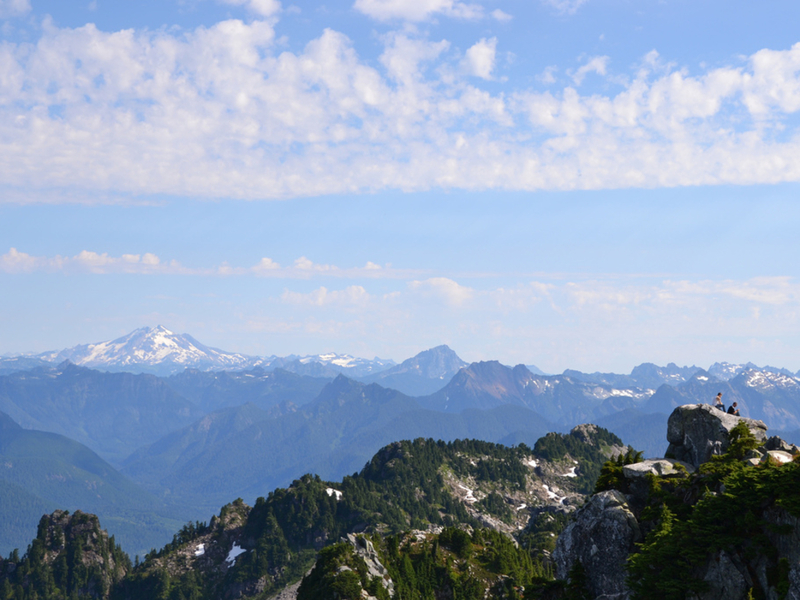 The trailhead and parking lot are located within the Mount Baker-Snoqualmie National Forest. From the Verlot Visitor’s Center (11 miles east of Granite Falls, WA), drive one mile east on Highway 92. Immediately after crossing the “Blue Bridge,” turn right onto the gravel Forest Road 42. Drive seven more miles to the trailhead.